All our Played in Britain authors are knowledgeable and enthusiastic experts in their field. If you would like one of them to speak at your function, contact us and we will do our best to oblige. 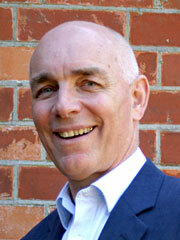 Played in Britain series editor Simon Inglis is an author and architectural historian specialising in sport. Based in north west London, he has written a number of books on stadiums, sporting architecture and football history and gives regular lectures to a wide variety of organisations, clubs and educational institutions. He is a passionate and entertaining speaker on Britain's sporting heritage, and in particular on the nation's historic sports architecture and landscapes. 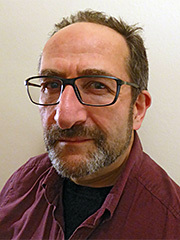 Steve Beauchampe, co-author of Played in Birmingham, is a freelance writer, researcher and photographer on sport, music and architectural issues. A supporter of Birmingham City and Warwickshire CCC, Steve was one of founders of the seminal football fanzine Off The Ball, and was a leading member of the Football Supporters Association from 1989-96. He is an active member of the Friends of Moseley Road Baths and author of a centenary history of the Grade II* building, Pools of Memory - A History of Moseley Road Baths. He is also undertaking a photographic survey of Birmingham, West Bromwich and Solihull's entire stock of sports grounds and buildings as part of the creation of a wider archive of this aspect of the city's sporting heritage. Ian Gordon, co-author of Great Lengths, is a former competitive swimmer, water polo player and lifeguard and a GP in Bournemouth. He has served as team doctor to the Great Britain swimming team since 1993 and as Head of Medical Services for the Amateur Swimming Association since 2005. He is also a vice president of Worthing Swimming Club, which he joined as a nine year old in 1963, and a life member of the Bournemouth Dolphins SC. Great Lengths reflects more than 25 years of research into historic swimming pools, during which Ian has built up one of the most comprehensive archives in the country. 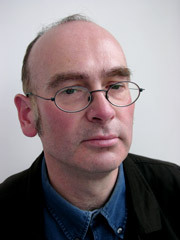 Hugh Hornby studied Modern History at Oxford University, spent six years as curator of the National Football Museum in Preston and has been a regular contributor to the Lancashire Evening Post and Lancashire Life . 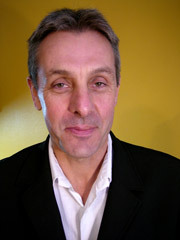 He is the author of two Played in Britain titles: Uppies and Downies (2008) and Bowled Over (2015). When not travelling around Britain to watch traditional football games or his beloved Preston North End, Hugh is often to be found at St Michael's Bowling Club, where he is captain, secretary and greenkeeper. 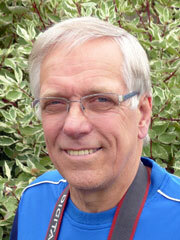 He is also secretary of the North Lancashire and Fylde Crown County Bowling Association. Ged O'Brien, the author of Played in Glasgow, qualified as a primary and secondary school teacher, working in Manchester, where he also acted as a consultant to the National Museum of Labour History and chaired the Greater Manchester branch of the Football Supporters Association. Thereafter he taught in both Nottingham and Southampton, before moving to Glasgow in 1993 to become project director of what was to be the world's first national football museum, opened at Hampden Park in 2001. He also served for five years as chair of the Association of Sports Historians. 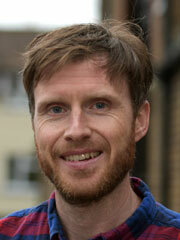 By this time, totally smitten with Glasgow, he returned to teaching in 2005. 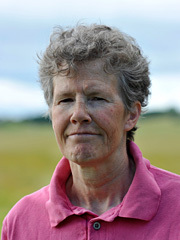 Lynn Pearson, the author of Played in Tyne and Wear, studied physics at the University of Warwick (where she spent more of her time running the Athletic Union than in the laboratories), took further degrees in physical education and planning, and was later a research fellow at the universities of Birmingham and Wolverhampton. She played hockey for Worcestershire, the county of her birth, for many years before moving to Newcastle upon Tyne in 1984, since when she has taken part in the Great North Run and played hockey for several local clubs. She has published eighteen books, one of which - The Tile Gazetteer: A Guide to British Tile and Architectural Ceramics Locations - was runner-up in the 2005 Nielsen BookData National Reference Book of the Year Awards. Lynn Pearson is now an independent architectural historian, writer and photographer (and cyclist). Ray Physick was born in Norris Green and raised in Kirkby. Since the publication of Played in Liverpool in 2007 Ray has completed second book, Liverpool's Boxing Venues (published by Trinity Mirror Sport Media in 2008). In partnership with the National Football Museum, Ray is currently researching a social history analysis of British 'Football Art' for his PhD at the International Football Institute. 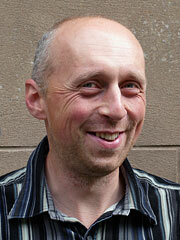 The IFI is based at the University of Central Lancashire, where Ray is also a part time lecturer. 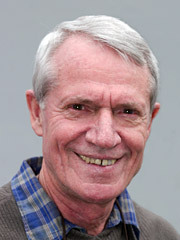 Ray's earlier work includes papers on professional golf, 1945–75, on sport in the Tyneside region, and entries in various encyclopaedias. 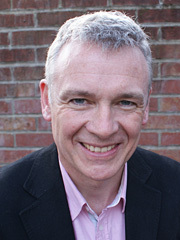 Martin Polley, the author of The British Olympics, is the Director of the International Centre for Sports History and Culture at De Montfort University. Martin's first encounter with Olympic history came as a schoolboy athlete in west London when he found himself running past the old White City Stadium, following in the footsteps of the 1908 marathon runners. He has since walked the full route and written extensively on the events of that memorable day. 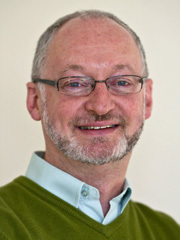 Still a keen distance runner and a lifelong supporter of Brentford FC, he is the author of Moving the Goalposts: a history of Sport and Society since 1945 (Routledge, 1998), An A-Z of Modern Europe 1789–1999 (Routledge, 2000) and Sports History: a practical guide (Palgrave, 2007). 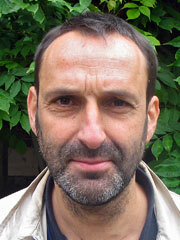 He also edited The History of Sport in Britain, 1880-1914 (Routledge, 2003). Janet Smith, the author of Liquid Assets, is a freelance journalist and a keen swimmer. Her first book was a history of Tooting Bec Lido, published in 1996 by the South London Swimming Club. 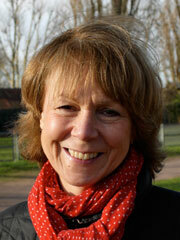 Janet trained as a journalist with the BBC in 1984 and spent most of her career in Radio News and at Westminster. She is now a Blue Badge Guide for London and specialises in tours of Parliament and sporting venues. Arthur Taylor, the author of Played at the Pub, spent most of his working life as a producer/director at Granada TV, and much of his spare time going to the pub. Travelling the country, and also much of Europe, he developed a strong passion for games, culminating in the publication of the highly influential Guinness Book of Pub Games in 1992. He won a Budweiser Budvar Travel Bursary in 1998 for his Good Beer Guide to Northern France, and was Glenfiddich Drinks Writer of the Year in 2001 for a portfolio of articles in the CAMRA newspaper, What's Brewing. His other books include Brass Bands (Granada, 1979), Labour and Love - An Oral History of the Brass Band Movement (Elm Tree, 1983) and Spring on the Somme, A River Journey (Constable, 1995). Simon Gill is a freelance photographer who studied at Plymouth University, specialising in shooting sport, in particular football and cycling. He is also an avid follower of both. Simon has provided artwork and creative input for numerous publications and has worked on the Played in Britain series since 2006. When he isn't watching his beloved Watford Football Club Simon's hobbies include riding his bike slowly around the Chiltern Hills, hiding from his three young children in his camper van or doing battle in the Berkhamsted 'Masters' 6 a side League. Peter Holme is a freelance photographer who taught science for 25 years then changed careers to follow his passion for football as a Collections Officer at the National Football Museum. He has curated several major exhibitions but now works chiefly with the archives, encouraging and supporting researchers. For the past 10 years he has travelled with Played in Britain author Hugh Hornby, climbing walls and taking photographs for Uppies and Downies and Bowled Over. He lives near Preston and has published a history of his local village team, Higher Walton, who were Liverpool FC's first ever league opponents. He supports Preston North End and his home town team Buxton FC in equal measure. Jackie Spreckley started her career as a journalist on the Morecambe Guardian and then spent over 20 years as a presenter and reporter for the BBC, Channel 4 and Thames TV on a wide range of current affairs and consumer programmes, including Brass Tacks, The Travel Show, Reporting London and Thames Help. 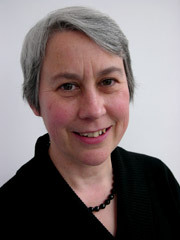 At LWT she ran a number of community arts projects and was Head of Regional Affairs before taking on the management of the Played in Britain series in 2004.